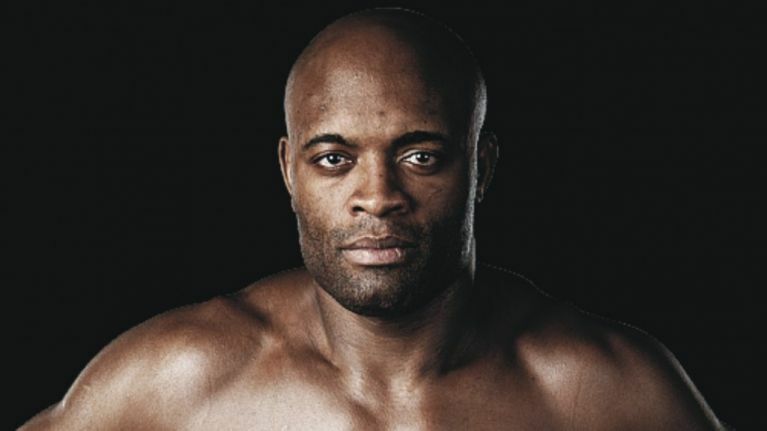 Anderson Silva will definitely have a smile of victory on his face when he looks back at his past and compares it with what he has achieved over the years and where he is now. He was once a kid living in abject poverty whose parents could not afford to pay for his fight lessons. However, with sheer determination to succeed in the fighting sport, he grew to become an Ultimate Fighting Championship (UFC) Middleweight Champion, and not only did he emerge a champion, Andersons to date still holds the longest title reign (2,457 days) in UFC with 16 consecutive victories under his belt. For this and many other things he has done in his fighting career, Dana White (UFC President) and Joe Rogan (UFC Commentator) have both adjudged him – the greatest UFC fighter of all time. In the paragraphs below, we will find out how true that is. In Sao Paolo, Brazil, on the 14th of April 1975, the fighter was born and named Anderson da Silva to Vera Lucia da Silva (mother) and Juarez Silva (father) who were at the time piss-poor. Seeing the situation of his immediate family, the young lad spent much of his childhood at his aunt and uncle’s place in Curitiba where at least he fed properly. Anderson Silva’s involvement in the fighting sports started quite early when he began training in jiu-jitsu with his peers. By the time he was about 12 years old and much into his teenage years, he was already taking taekwondo, capoeira, and muay thai classes which he continued up until he was around 16. At this time, things were a lot better for his family as they were now able to pay for his flight lessons seeing that the young fighter wanted to make a career out of it. In 1997 at the age of 22, Silva made his professional debut in Brazil as a welterweight fighter making two back-to-back wins. This victory was clipped down by Luiz Azeredo in the year 2000 as he lost to him with a unanimous decision in the fight. He bounced back from the defeat and went on a 9-fight winning streak before he fought in Japan against Shooto champion Hayato Sakurai and beat him in the third round to become the first man to do so, thus, ending Sakurai’s 20-fight unbeaten record. The Brazilian born fighter began fighting in Pride Fighting Championship in the year 2002 and got off with an impressive 3 wins. However, he suffered a loss against Daiju Takase who at the time was an undergo in the sports. Anderson resurged his career in 2004 in the Cage Rage promotion in England with a win over Lee Murray at Cage Rage 8, the victory earned him the Cage Rage Middleweight Championship which he successfully defended against Jorge Rivera and Curtis Stout. Silva continued to fight in the Cage Rage as well as other promotions around the world up until 2006 when he entered the Ultimate Fight Championship. He made his UFC debut at Ultimate Fight Night 5 on June 28, 2006, against Chris Leben who at that time was undefeated in the UFC with 5 straight wins. The Brazilian fighter only needed 49 seconds to knock Chris out in the first round to a resounding cheer of spectators. His next opponent became UFC Middleweight Champion Rich Franklin who he trounced with a technical knockout in the first round, with this victory, Anderson was crowned the new UFC Middleweight Champion. At UFC 73 on July 7, 2007, Silva successfully defended his title against Nate Marquardt who he sent packing with a TKO in the first round (4:50), Rich Franklin then made a comeback for the title but he put him down again with a TKO in the second round at UFC 77 on October 20, 2007. He then fought Dan Henderson the Pride Middleweight Champion at the time in UFC 82 in a title unification bout, contrary to expectations, Anderson Silva came out victorious from the match. He defended his Middleweight title against Patrick Côté in UFC 90 on October 25, 2008, Demian Maia on January 2, 2010, at UFC 108, Chael Sonnen at UFC 117 on August 7, 2010, Vitor Belfort on February 5, 2011 at UFC 126 (earned Knockout of the Night), Yushin Okami at UFC 134 on August 27, 2011. Chael Sonnen challenged him again for the title but lost out the second time asking, however, Silva finally lost it to Chris Weidman at UFC 162 on July 6, 2013, via knock out. The two (Silva and Weidman) faced off in a rematch UFC 168 on December 28, 2013, but Anderson Silva still lost the bout. Not only did he lose the match, he also had one of the most fatal injuries he ever had in his career with a broken left fibula, tibia, and cracked shin bone. After the match, he had an orthopedic surgery to stabilize his tibia with an intramedullary rod which went successfully. Since his title loss, Anderson Silva has recorded fewer victories unlike before with calls from fans for him to retire from the sport. Nevertheless, it is worthy to note that Silva held the UFC Middleweight Champion for a record UFC history of 2,457 days with 16 consecutive victories which started in 2006 and ended in 2013. Indeed, when one works hard, the fruit of his/her labor will theirs to reap, certainly, Anderson Silva is reaping the fruit of his labor over the years as a mixed martial artist in the UFC. The fighter has a net worth stated to be about $18.9 million which has seen him listed as one of the top 20 richest fighters in the world.